The code of conduct on gambling for sites is very important. Here is what eCOGRA is doing on this project. Code of conduct applies to anything we do, and gambling is no exception. Following its introduction at the European Interactive Gaming Expo in October, the International Responsible Gambling Code of Conduct continues to gather pace as it receives support from key industry bodies such as the European Gaming and Betting Association (EGBA), eCOGRA and the Interactive Gaming Council (IGC) who have contributed to the Code’s development. Online gambling is a dynamic and innovative sector, enjoyed by many millions of people around the world, and as with more traditional forms of gaming, the pastime needs to be undertaken responsibly. This landmark guidance establishes uniform international minimum standards and practical measures throughout the online gambling industry designed to protect players and promote responsible gambling. 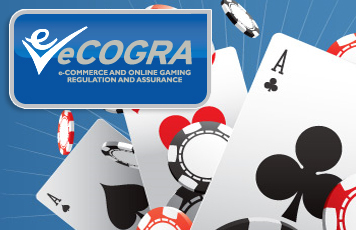 The Code underlines the commitment of those bodies involved in online gambling to responsible practices, with initial work led by UK gambling support charity GamCare, the player protection and standards body eCommerce and Online Gaming Regulation and Assurance (eCOGRA) and trade association Remote Gaming Association (RGA). Strict use of age verification tools and prominent warnings/policies on underage gambling. Links to filtering programmes which enable players and parents to control access. The ability for customers to self-exclude, set deposit limits and access up-to-date account balances. Links to player protection and responsible gaming sites. Signposts to sources of help for customers who may be experiencing difficulties. Policies on responsible online gambling clearly set out on websites. Social responsibility training provided for all staff who deals with customers. Refresher courses delivered to ensure that training is up-to-date and relevant. Advertising and promotion – particular care taken not to direct advertising messages to under 18s. Legal, decent, honest and truthful advertising. Clive Hawkswood, Chief Executive of the Remote Gaming Association, said: “The promotion of responsible gambling and the adoption of appropriate safeguards are fundamental to the long term success of the online gambling industry. As the industry develops, it will inevitably come to be regulated in more jurisdictions. eCOGRA CEO Andrew Beveridge, said: “Any way you look at it, the new Code is a landmark development taking the industry into a more caring, player-sensitive and responsible future by using practical and proven measures firmly based on experience and research-backed knowledge. If we all work together along with eCOGRA, we can help make a difference and enjoy our online games. Let’s do our part in this code of conduct!